If you’re anything like us, the hardest part of dining out these days is deciding where to go. Soooo much choice, so little time. Amirite?! But, what if we told you our fave short break destination, the Gold Coast, just scored a new progressive foodie night that will let you try not one, not two or three, but FOUR of the Coast’s best restaurants in one evening, and without needing a coat to venture out in the cold between courses? The Star Gold Coast has been kicking serious goals lately, and they’ve just gone up a few extra notches in our book, with the addition of The Star Grazing Food Tour. Firstly, this is a limited time only kinda deal. Kicking off Thursday 10 August, and every Thursday night throughout the month of August (sold out) and September, we reckon it’s the perfect late winter/early spring treat giving you an excuse to frock up and do what you do best (eating, that is). Nab a spot on The Star Grazing Food Tour and not only will you get to hang with an intimate group (10 to 16 pax), you’ll be escorted by a friendly host and receive an insider experience, chatting with the passionate chefs, tasting a sampling of The Star’s stellar culinary offerings, all paired with a variety of wines to help the conversation really start flowing. 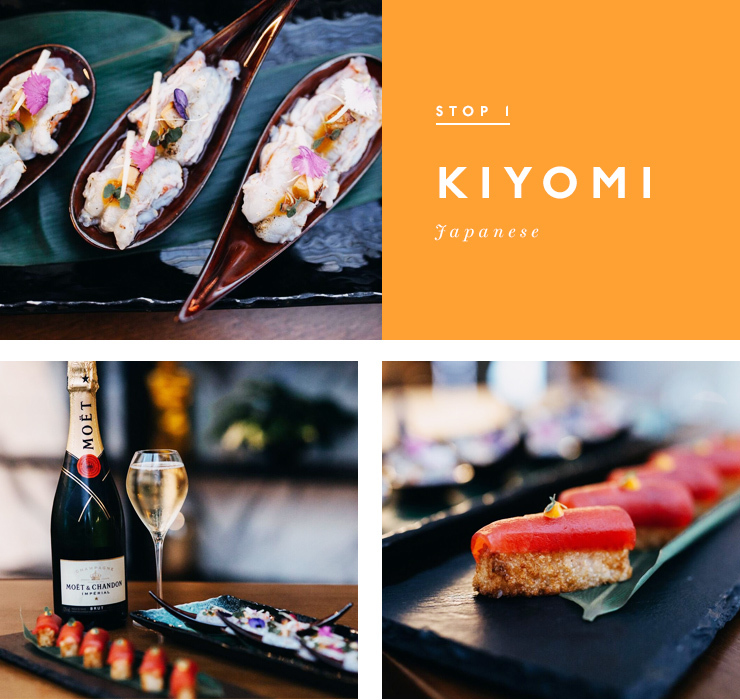 If you’ve been dying to try Kiyomi, The Star’s award-winning Japanese restaurant, though haven’t quite found the courage to commit, this is your chance. It’s the first stop on the tour, where an arrival glass of Moët & Chandon will assist with introductions as you get to know your other dinner guests; paired with a sample of chef Chase Kojima’s scampi with foie gras, and crispy rice spicy tuna. Mmmm. 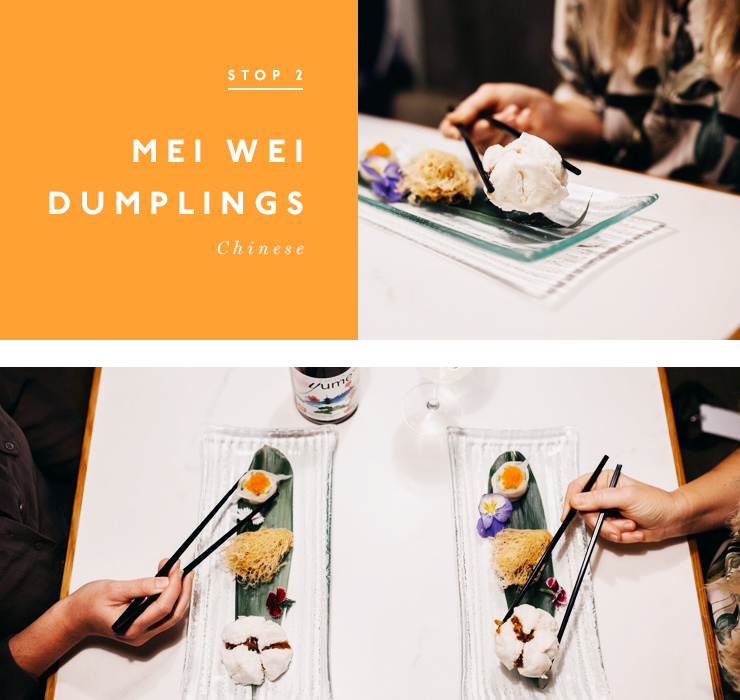 Continuing the Asian flavour explosion, you and your fellow foodies will visit hawker-style eatery Mei Wei Dumplings. Here you’ll try a selection of Mei Wei’s famed dumplings and steamed BBQ pork buns, complemented by a glass of Japanese plum wine. Next stop is the Amalfi Coast (without so much as a plane flight or currency exchange), and one of our absolute fave Italian eateries, Cucina Vivo. Get comfy as you’re treated to an Insta-worthy plate of Cucina Vivo’s meticulously hand crafted Mooloolaba crab Tortelloni Ripieni with ricotta and green pea puree. It’s the signature dish that helped launch the restaurant a few years back, and only returns on special occasions (tonight being one of them! ); all washed down with an Italian Pinot Grigio, naturally. 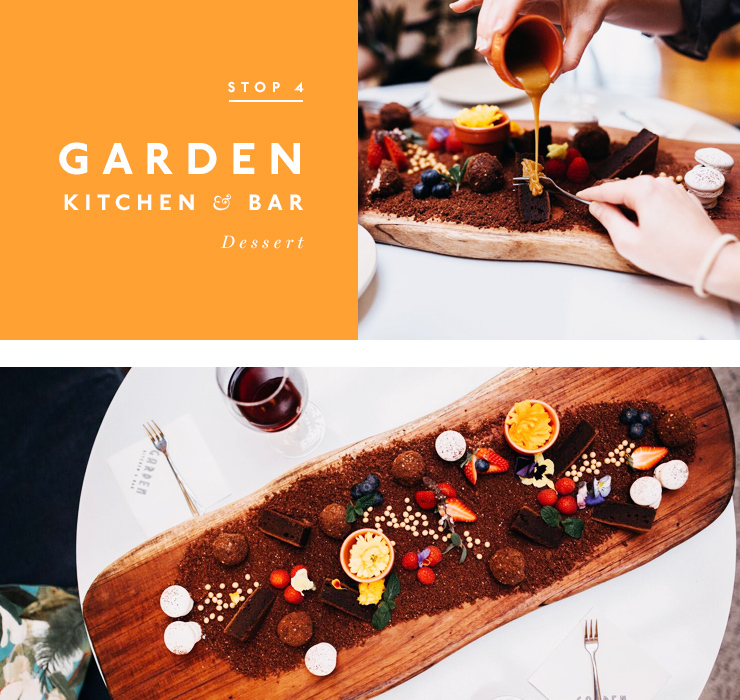 And because these seasoned professionals know exactly where to drop you off on the conclusion of your grazing tour, your final pit-stop is the gorgeously lush Garden Kitchen & Bar for an intriguing Garden Chocolate Patch dessert and a glass of Kooyong’s Massale Pinot for a nightcap. Excuse moi, Garden Chocolate Patch dessert? Yep, dessert is an adventure for this talented culinary team; so prepare yourself for chocolate mushrooms and soil, salted caramelised white chocolate ganache and milk chocolate truffles. Basically, it’s a fantasyland on a plate for the chocolate-lover in all of us. Sounds like one helluva tasty night out, dontcha think? And all this for a very reasonable $88 per person! So, what are you waiting for? Seats are limited, so grab another foodie friend or three and secure your spot now. Better yet, book into The Star’s swanky new guest rooms and perhaps think about taking a much-deserved Friday RDO. Hungry? We spent a fanciful evening at Cucina Vivo and shared our thoughts here. Editor's note: This article is proudly sponsored by The Star Gold Coast and endorsed by The Urban List. Thank you for supporting the sponsors who make The Urban List possible. Click here for more information on our editorial policy.